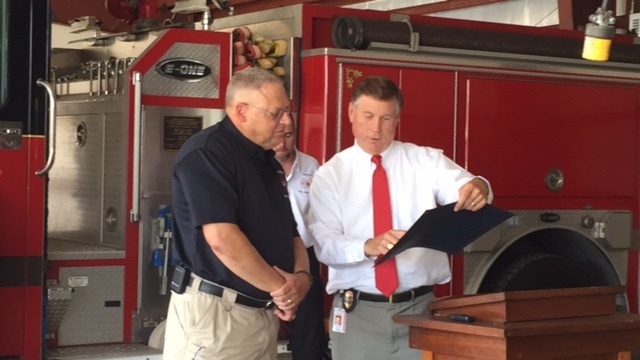 Long-time Clarkton Firefighter Rusty Marsh was honored on Tuesday morning with the Order of the Guardian. 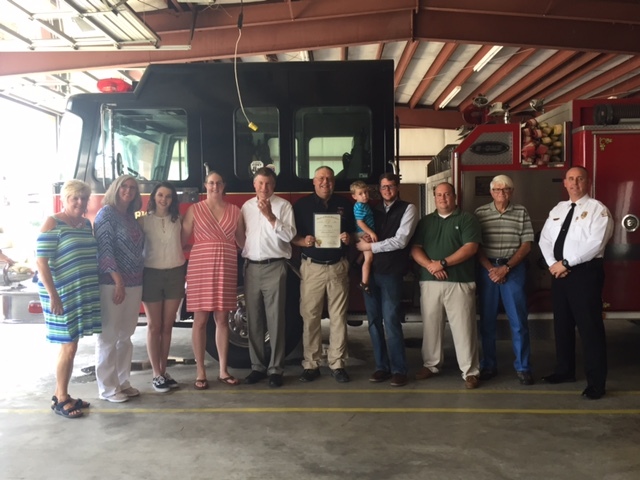 The newly created award was presented by the NC Department of Insurance Commissioner Mike Causey and recognizes citizens for their service to their communities. 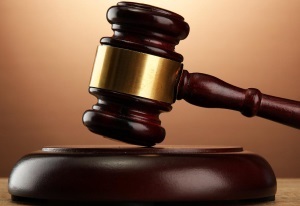 It is the highest honor a resident can receive from the Department of Insurance. 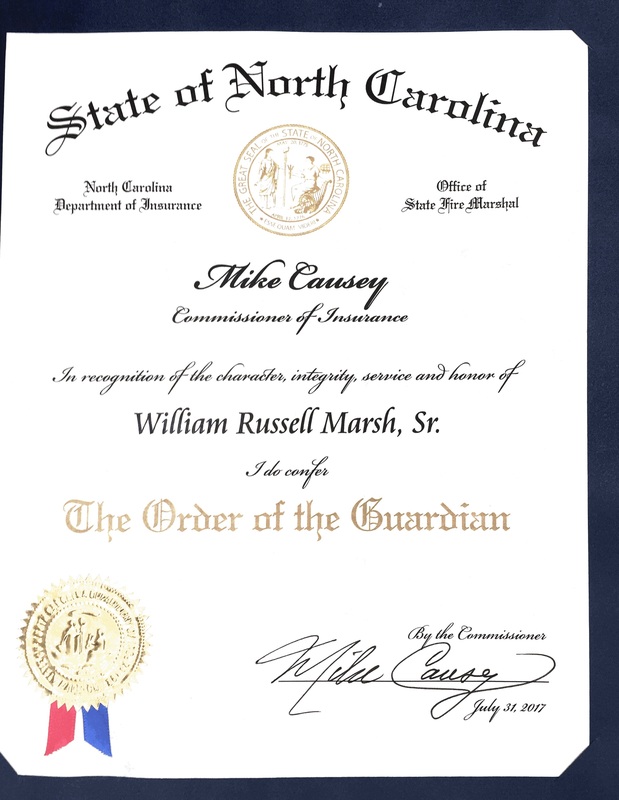 Marsh is the second recipient of the Order of the Guardian, said Causey. 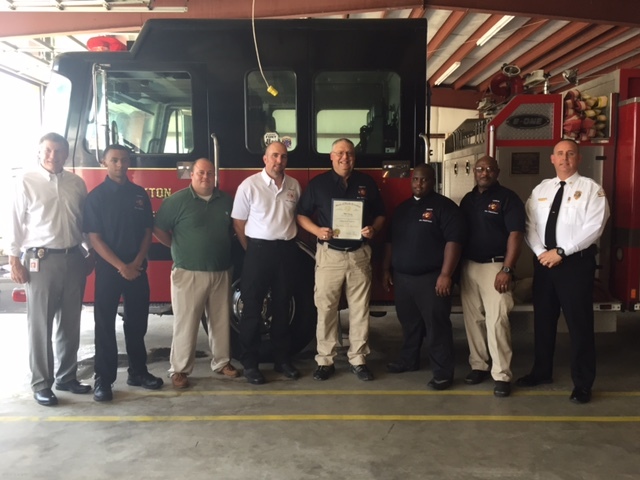 Marsh has been a member of the fire service since turning 16 years old, but Marsh said he had to leave the fire service when he was 18 to join the military in college. 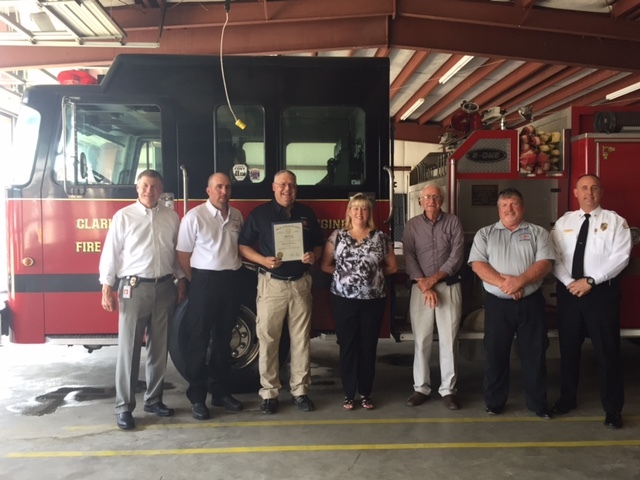 Marsh said his family moved to Clarkton in 1996 and he joined the Clarkton Fire Department in early March 1997. He has served as a firefighter for a total for 20 years. 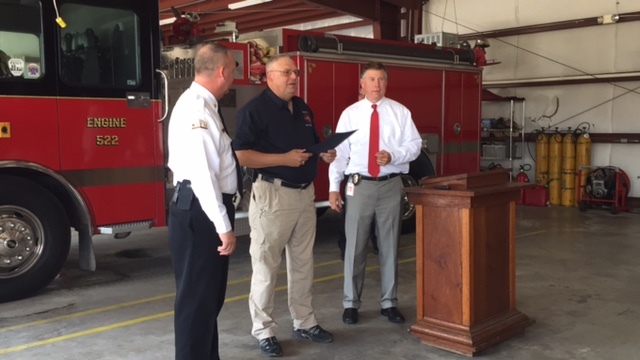 Stephen Hester, Fire Chief of Clarkton Fire Department, introduced the guests and Rusty Marsh to those present. 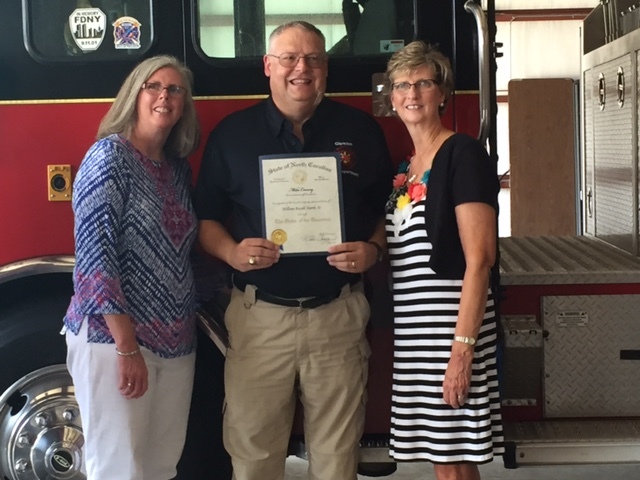 The Assistant State Fire Marshal Brian Taylor also thanked Marsh for his service and also thanked his family for their sacrifice they have made over the years. “I learned from one of the best and he’s 84 years old and he’s sitting right there on the front row, my Dad. 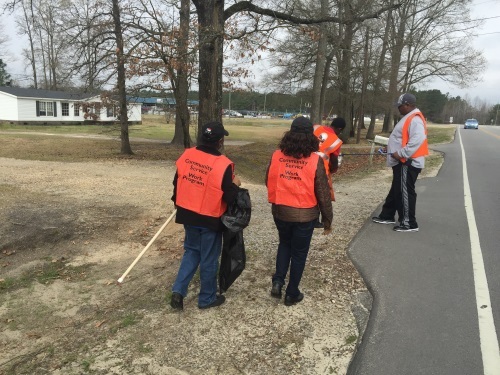 He’s a retired firefighter,” said Marsh. Chief Hester said Marsh has been gracious and assisted him in learning the role of Chief. 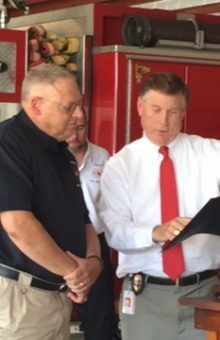 “He has helped guide me through this process of becoming Chief.” He said Marsh has also assisted former Chief Jimmie Mize as well when he became fire chief. 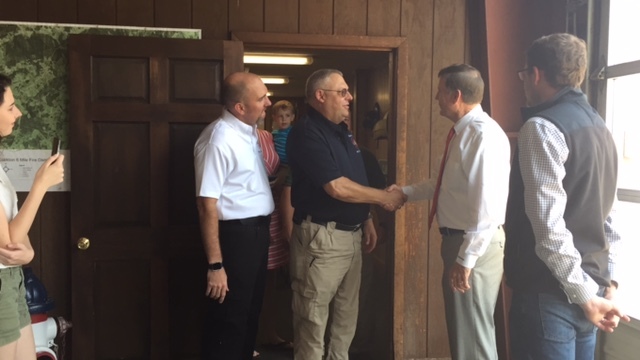 NC Department of Insurance Commissioner Mike Causey also toured the Elizabethtown Fire Department and the Lisbon Fire Department while he was in Bladen County.